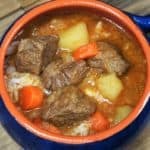 Cuban-style beef soup or Sopa de Res in Spanish, is a really easy and affordable way to get a home-cooked, nutritious and delicious meal. For this soup, an inexpensive cut of beef is cut into small chunks. The beef is cooked in a rich and flavorful broth that’s flavored with onions, garlic and a blend of spices. Then we add potatoes and carrots, and of course, like most Cuban dishes we serve it with white rice. If you want more hearty Cuban-style soups, try this fully loaded Cuban chicken soup or this potaje de lentejas. Enjoy! 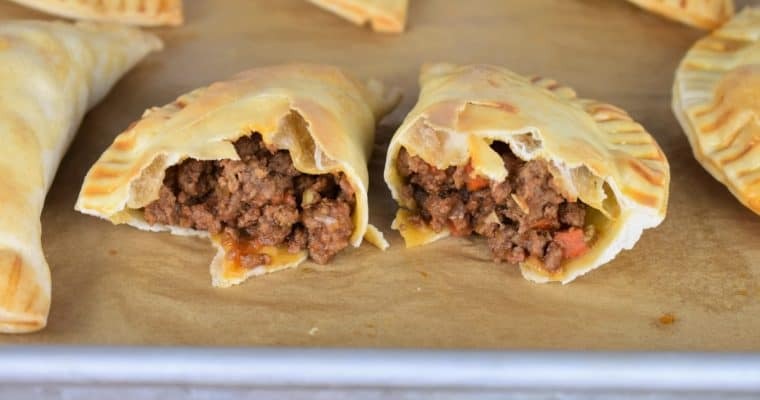 Place the beef in a large zip top bag. Add the salt, cumin, oregano and pepper, massage the beef a bit to distribute the seasoning well. Add the flour to the bag, seal tightly without removing the air. Shake the bag well to coat the beef with the flour. Heat the olive oil in a large pot over medium heat. When the oil is hot, but not smoking, add the onions. Cook the onions gently for 3 minutes, stirring frequently. Then add the garlic and cook for 1 minute, stirring frequently. Add the beef to the pot, cook for 3 minutes, stirring frequently to brown a bit on all sides. When the beef is browned, add the white wine and stir, gently scraping any bits off the bottom of the pot. Cook for about 1 minute, stirring constantly. Add the tomato sauce, beef broth and water, stir well. Raise the heat to high, when the liquid begins to boil, lower the heat to medium-low, cover and cook for 30 minutes, stirring occasionally. Add the potatoes and carrots to the pot, raise the heat to high, when the liquid comes back to boil lower the heat to medium-low, cover and continue cooking for 25-30 minutes, stirring occasionally. If desired, uncover the pot the last 10-15 minutes of cooking time to allow the soup to thicken a little bit. While the soup cooks, make white rice. Before serving, taste the soup and add salt, only if needed. 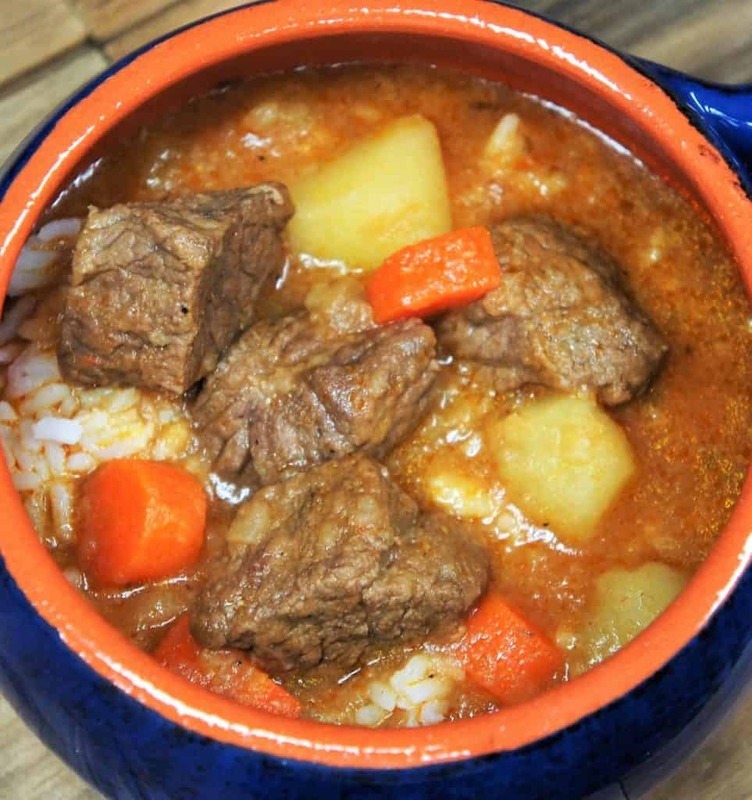 To serve, add white rice to the bottom of a bowl, top with a generous serving of the Cuban-style beef soup. Enjoy! 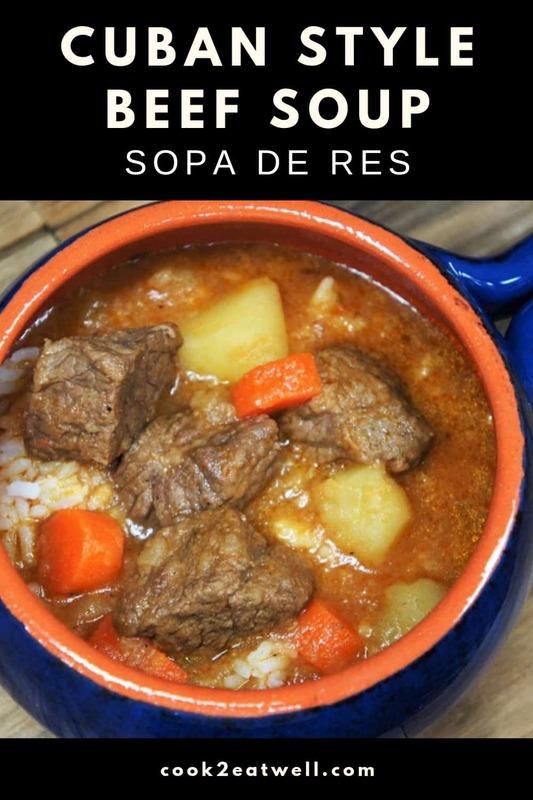 Cuban-style beef soup or Sopa de Res in Spanish, is a really easy and affordable way to get a home-cooked, nutritious and delicious meal. Place the beef in a large zip top bag. Add the salt, cumin, oregano and pepper, massage the beef a bit to distribute the seasoning well. Add the flour to the bag, seal tightly without removing the air. Shake the bag well to coat the beef with the flour. Heat the olive oil in a large pot over medium heat. When the oil is hot, but not smoking, add the onions. Cook gently for 3 minutes, stirring frequently. Add the beef to the pot, cook for 3 minutes, stirring frequently to brown on all sides. Add the potatoes and carrots to the pot, raise the heat to high, when the liquid comes back to boil lower the heat to medium-low, cover and continue cooking for 25-30 minutes, stirring occasionally. If desired, uncover the pot the last 10-15 minutes of cooking time to allow the soup to thicken a little bit. 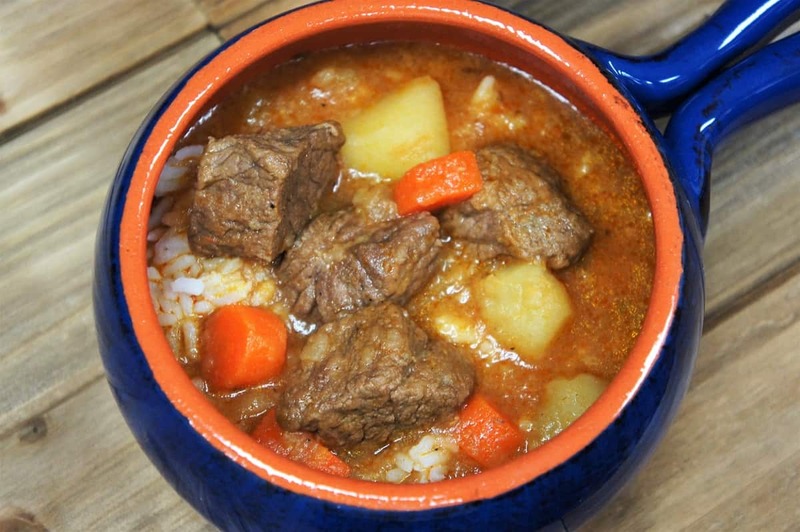 To serve, add white rice to the bottom of a bowl, top with a generous serving of the Cuban-style beef soup. This was Great. Made as written. Thank you.